Are you fearless and is “guts” your middle name, then I’m sure you’re in for a speedy challenge at Fun Casino this month. Maybe not one of the most popular video slots available, NetEnt’s Drive: Multiplier Mayhem™ brings you a speedy slot game in which you’ll battle to be the first to reach the finish line. And if you manage this month by beating the final driver in the Free Spins feature, you’ll be awarded an extra €200. You got what it takes to be a racer? 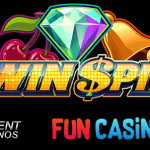 Are you fearless when driving a car and speed doesn’t bother you much, Fun Casino has the perfect challenge for you! It’s time to prove your racing skills in the Drive: Multiplier Mayhem™ video slot at Fun Casino this month. Until the 31st of October, all players at Fun Casino have the possibility to play the Drive: Multiplier Mayhem™ video slot with the aim to beat the final driver during the Free Spins feature. If you indeed beat the final driver, you bag yourself an additional prize of €200! How exactly? Well, first of all, you need an account at Fun Casino in order to play with real money. But trust me, it’s totally worth it! 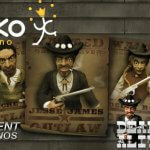 New players will receive 10 free spins after the registration is completed. Upon the first deposit, you will also receive a 50% bonus up to an amazing €499 while an additional 100 free spins become available as well for the best NetEnt slots including Starburst™, Wild Wild West™ or Joker Pro™. 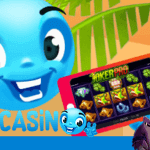 Making a second deposit at Fun Casino, you will receive the exact same bonus again! 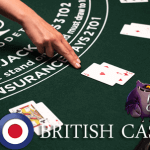 This means a total of 111 free spins + up to €998 in casino bonuses. 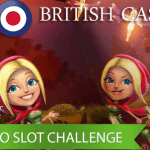 Once you have some real money in your account to play with, it’s time to accept this month’s video slot challenge! This is simple, because opening the Drive: Multiplier Mayhem™ video slot is enough to accept! 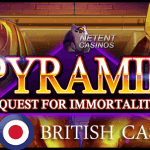 Just make sure you play this video slot with a minimum bet of €1. When you beat the Fun Casino video slot challenge, please note the exact time and date of your winning game round and contact their customer support team straight away. Your win will be reviewed and as soon as your win is confirmed, you’ll receive an additional €200. I totally understand why Fun Casino selected the Drive: Multiplier Mayhem™ video slot for this month’s video slot challenge. The video slot involves a challenge already, so basically, Fun Casino just had to add an amount to the challenge. That’s all! So now you have a challenge on top of a challenge. What kind of challenge are you looking for? Me personally, I love a good challenge! If there’s no challenge, I easily get bored and things start to become automatic. My challenge in writing about the online casino and online casino games for 9 years already, to improve my writing. That’s my daily challenge, so what’s your challenge? I don’t have a slow car, so when I’m at a traffic light, I sometimes love to beat the driver next to me! It’s childish, I know, but it’s only when I notice they are in for it, convinced they will win! That’s when I accept the challenge! But I’m a grown up and a wise girl, so I’ll never exceed the speed limit! The greatest thing about playing the Drive: Multiplier Mayhem™ video slot, is that you don’t have to worry about the speed limit! Just hit that gas pedal and make sure you’ll get to the finish and enjoy the excitement! Everything seems exciting about this NetEnt slot including its energetic design, thrilling sounds, the main characters and its video slot features. The Drive: Multiplier Mayhem™ video slot is offering an innovative slot feature to the reels. Its unique gameplay will be triggering random Multiplier Wilds in the main game, but during Free Spins, its all about keeping your adrenaline levels in control when Jette strives to get to the finish line as the winner. Meanwhile, you’ll be thrilled to see the Nitro Collect Meter stacking up the Nitro symbols and taking them to race against the next opponent. 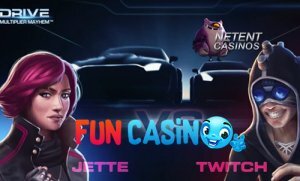 If Jette is as tough as she looks and capable of some successful street racing, you’ll be able to beat the Drive: Multiplier Mayhem™ video slot challenge at Fun Casino this month. Ready, set, go!